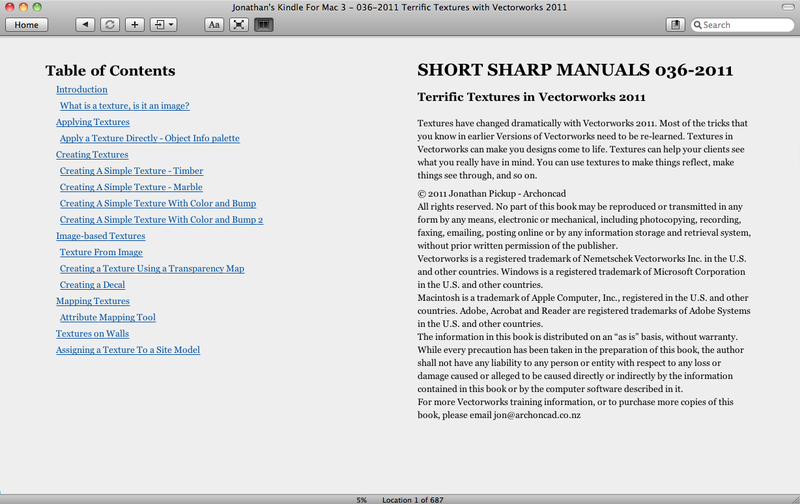 Textures in Vectorworks 2011 have changed a lot. The shaders are completely different, reflectivity has new settings, transparency has new settings, and the bumps are all new. If you are used to textures in earlier versions of Vectorworks, you need a guide to show you how to use all the new settings, but if you are new to textures, you also need a guide that takes you though creating and editing textures. 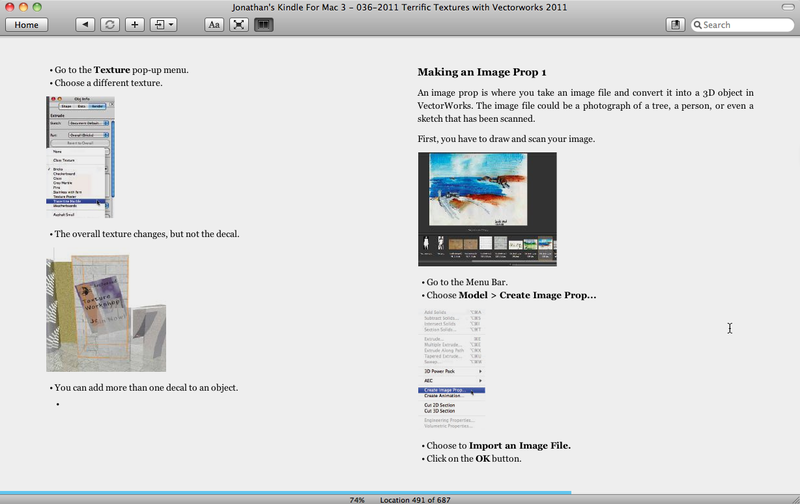 I have created a kindle manual that guides you through the creation and management of textures. For example, there are four basic components to textures, and this manual guides you through each component so you learn how to control them. Textures are only a part of the process, so I have created a follow-up manual on lighting and rendering. 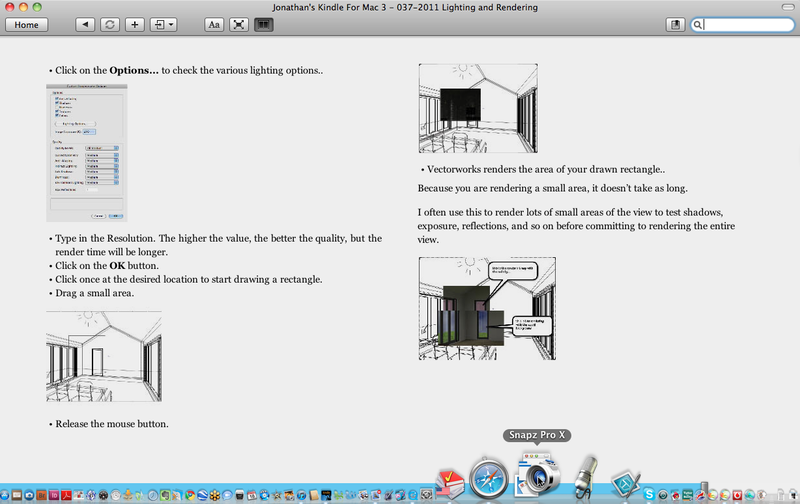 This manual guides you through the rendering and lighting options in Vectorworks, and there are several options to look at. 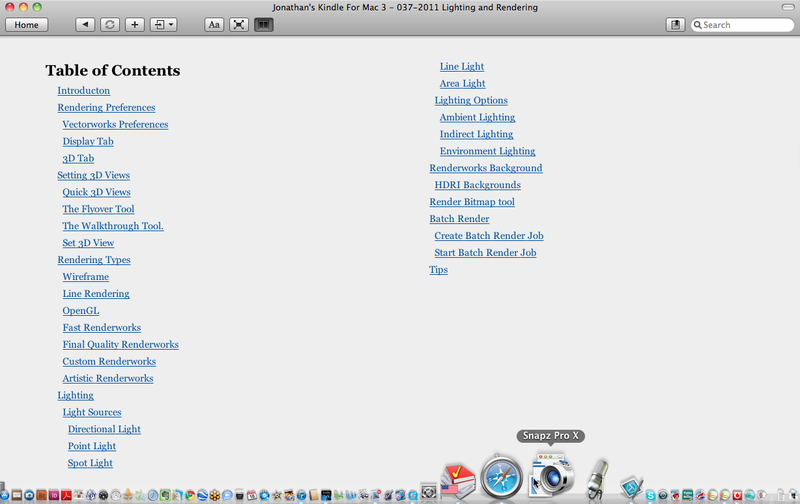 There are several rendering options, so the manual works though those, to show you the options you have. There are several lighting options. The manual show you how to control each lighting option, and has tips on the best way to use lighting. Finally, the Kindle manual shows you how to bring all the parts together and how to get the rendering completed in the fastest time. This entry was posted in blog, Public Posts, Vectorworks and tagged rendering, textures by jonathan. Bookmark the permalink.